Simple & secure multi-factor authentication, transaction authorisation and data encryption service. Integrates in minutes. UNLOQ any web, desktop or mobile app. How would it work in your app? 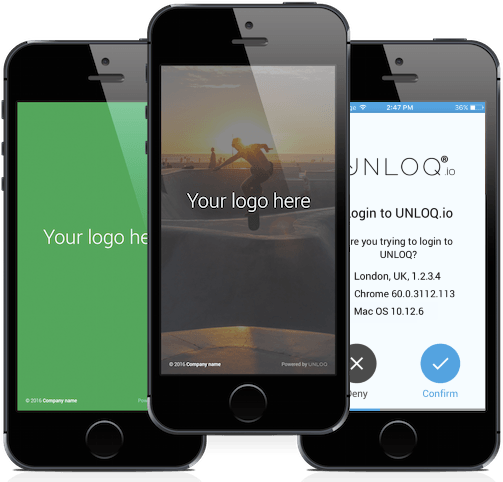 After the initial signup you'll only have to click the UNLOQ button to start the authentication process. In no time, you'll receive a push notification on your phone asking you to approve or deny the authentication request. Verify it and hit the aprove button. That's it. You're securely logged in. There's nothing else you need to remember or do. Install the plugin and you're good to go! UNLOQ is a distributed authentication & authorisation system with enterprise level encryption. Data is AES-256-CBC encrypted and we use TLS on all communication. Your data is securely saved with trusted providers like Amazon Web Services and Bahnhoff. UNLOQ technology comes packed up with the tools you'll need to protect against major threats like phishing and man-in-the-middle type of attacks: three ways to authenticate, transaction authorisation & encryption keys help you protect your application's data. We go a long way to ensure you'll be able to add UNLOQ to your systems in no time. 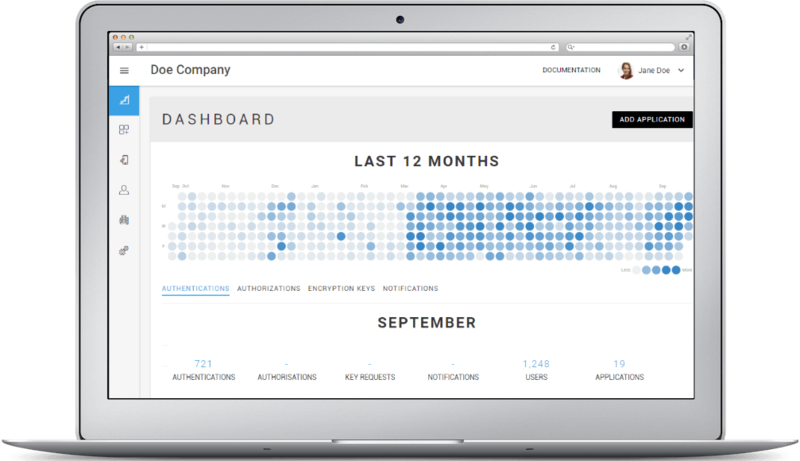 When using our growing list of plugins, the process takes up to a few minutes. Generating your custom mobile application is also a few clicks away. 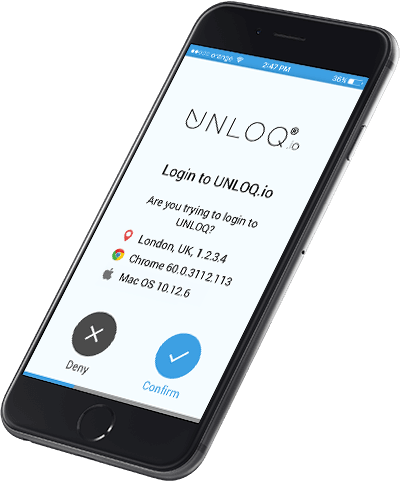 Start by downloading the UNLOQ mobile app and try it for yourself in our demo app! Security requirements are of the utmost importance for iWelcome as a European provider for Identity & Access Management as-a-Service. 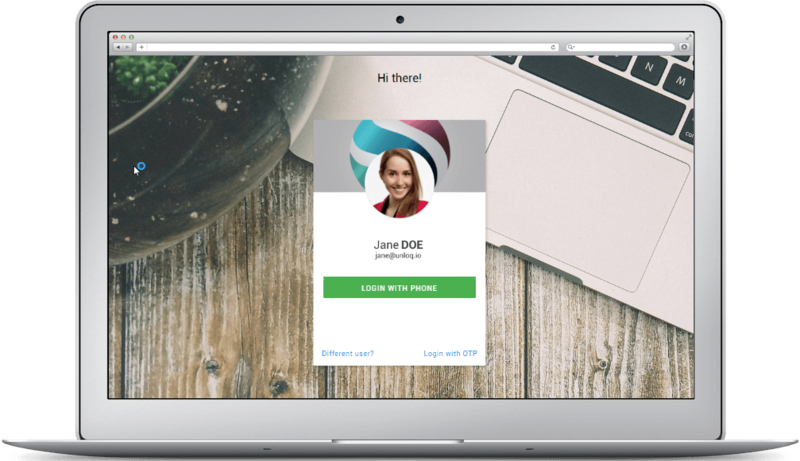 Together with the UNLOQ team we integrated their Multi-factor authentication technology into our IdaaS platform giving us a head-start as well as an additional touch-point with our users. UNLOQ put you at ease from the get-go, this is backed up by intuitive solutions, simple and effective user interfaces. We handle sensitive personal information and our application is predominantly used by field force resources and customers. That put security and information management in pole position for our Internet of Things enabling proposition to have integrity. UNLOQ provides that. Our forum was plagued with spammer registrations, it was difficult for normal users to register and write comments. Thanks to UNLOQ we got the registration steps made safe and easy again. 2018 © UNLOQ Systems LTD.